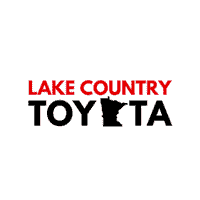 Whether you have purchased your vehicle from us or not, Lake CountryToyota is your #1 destination for auto service and repair in Baxter, MN. Our team of specially trained technicians has the know-how and tools at their disposal that enable them to provide quality repairs and maintenance for all of our clients during every visit. If you’re in need of service or repair for your vehicle, you can conveniently schedule your next service appointment online, and we’ll contact you to confirm the details! We’re proud to serve our valued customers from throughout the Baxter area. Here at Lake Country Toyota, we also offer a comprehensive selection of OEM Toyota parts and accessories, so you can touch up or accessorize your vehicle exactly how you want to do so. Plus, if you’re looking for a part or accessory that we don’t have in our current inventory, we’ll gladly locate that item and order it for you! You have the option of picking it up at our dealership, or we can have it delivered directly to you. Our Toyota Service Center features the latest in automotive repair and maintenance technology. Bring your Toyota in for maintenance or repairs and our specially trained staff of certified technicians will handle all your service needs quickly and affordably. Whether your vehicle needs routine maintenance or extensive repairs, we service all makes and models. Plus, we offer other great perks and frequently updated special offers that will help you save on the things you need most. Click here to schedule an appointment online or stop by and visit us in person! We’re proud to serve our customers from here in Baxter, We look forward to seeing you soon!